Home > Blog > Podcast > 100’s Dying From Overdose In Wisconsin But We Are Never Giving Up! 100’s Dying From Overdose In Wisconsin But We Are Never Giving Up! It has been said that to find your gift is the meaning of life and to give it away is your purpose. I have been gifted and now I give. I have been taught and now I teach. I aspire to be a giver of love and strength. I do not give to get. I give so others are inspired to do the same. 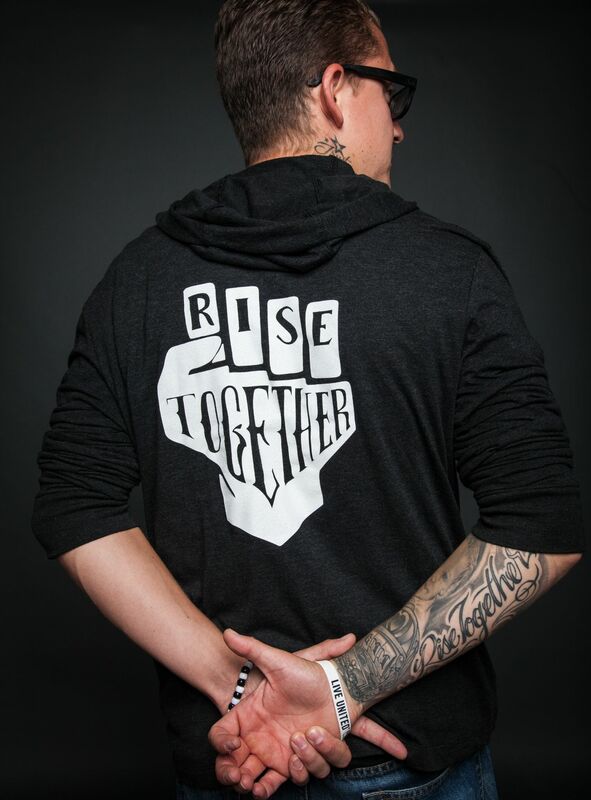 My name is Anthony Alvarado, President & Co-founder of RISE TOGETHER. RISE TOGETHER is an organization that focuses on prevention education, awareness, and community outreach. Since getting started on September of 2013, between our speeches, rally’s, educational seminars, social media, and our following from traditional media such as TV, radio, magazines, and newspapers, our message of recovery has captured the attention of millions around the world. In turn, a movement of #HOPE has been created. Our stories of redemption are now leading others to positive change. We have been called cultural and spiritual leaders, and even at times seen as those that go against the status quo. Regardless of what your thoughts are, we are indeed carrying a light on our back and guiding our youth out of some of the darkest places. We have educated over 70,000 people in the Wisconsin and this is just the beginning. We have partnered with over 150 schools across the Midwest! 92% of the students claimed they have found our presentation effective; many of them now being less likely to get involved with drugs following our RISE TOGETHER presentation! As the leader of this organization, I see RT as a force of change. Our grass roots movement is geared toward innovation and forward movement. Our team is driven, passionate, and goal-oriented. Together, especially on stage, we are like a family. Our primary mission is to educate our youth. We achieve this by having our members combine their talents and experiences to create a positive change in the substance use community. Our group is comprised of those in long-term recovery that follow absolute sobriety, family members, friends, advocates, musicians like Nicole Rae, and professionals within the community. We are getting through to students like no other group in the Midwest. Our youth is seeing us as their peers and in many senses looking up to us as their idols. We are doing more than educating our youth on the dangers of drugs and alcohol. We are communicating a positive life message that is motivating and inspiring our audience to go out and accomplish their dreams, goals, and aspirations. For Douglas and I, we wouldn’t have came this far without our own recovery, spirituality, family, friends, the support of our team, the students, teachers, professionals, sponsors, parents, and our thousands of our totally awesome fans! Also a shout out to some of our supporters such as: Sober Nation, WI United WE C.A.N, Young People in Recovery, Citizen Action, Helio’s, WI Voices for Recovery, Stop Heroin Now, TFC, Shatterproof, and many others! Together we are really making a difference! We are even showing our youth how cool it can be living a drug free lifestyle. In turn, this is helping to create a sociocultural change right in the very hallways in middle schools, high schools, and colleges. Over the summer we are going to be working with many talented musicians, creative minds, and organizational leaders from some other awesome advocacy groups across the United States to help bring awareness to the issue of substance abuse and to help eliminate the stigma of addiction. We want to show the world how awesome sobriety can be!! !